The very first thing you think of when you see this picture, is Vincent van Gogh. 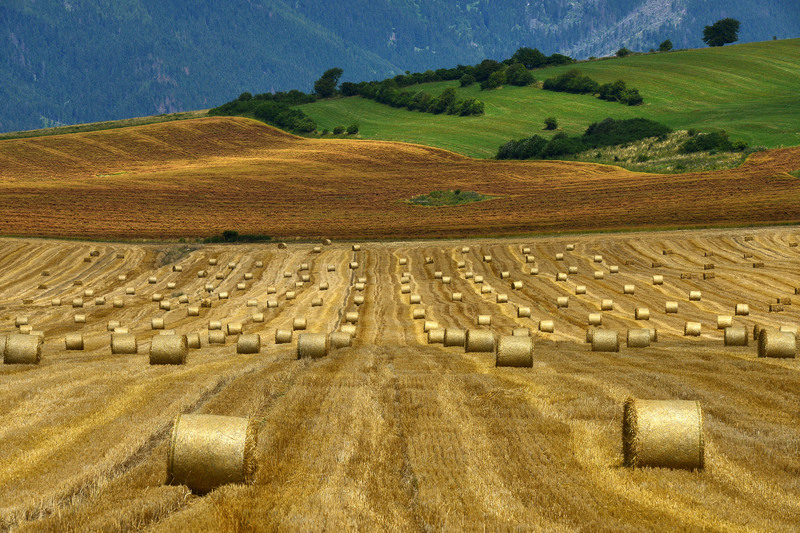 The wheatfields, the rural life but also the typical intense colours. This landscape is so convincing and so symmetrical that it must have been photographed by a photographer who stood right next to Vincent. When you squeeze your eyes, you see and feel Van Gogh, you almost feel the warmth and you can almost breath the smell of fresh hay. Exactly that is why the jury has decided to declare this photo the first winner of the Vincent van Gogh Photo Award. The image is meaningful. A woman, living in poverty, photographed in Vietnam. The despair and wories can be read from her face. The absent look on her face and the slaughtered chickens, that seem too skinny, in the foreground, the person leaning on the slaughter table and something mysterious happening in the top/middle section of the picture; nothing seems to bother her. Vincent often painted the concerned poverty of the hard working people. That is what makes this photo the number 2. The jury thinks this is a wonderful nature photo. The diversity of colours in nearly the same colour range, gives an almost surreal character, but with a high impressionistic influence. The viewer has to make an effort to realize what he/she truely sees. The first impression reveals a lot, but when you take a second look you see even more details. One of the jury members pointed this picture out as a typical Claude Monet. There are many beautiful nature scenes, but not as wonderfully captured as this one. Bartlomiej Jurecki is the winner of the first edition of the Vincent Van Gogh Photo Award. During the opening ceremony of the exposition, which took place in the Vincentre Museum in Nuenen, the winner of this international photo competition was announced. The winning photo shows a wheatfield with typical intense colours. It was a unanimous decision by the jury. ‘ When you squeeze your eyes, you see and feel Van Gogh, you almost feel the warmth and you can almost breath the smell of fresh hay’. Martijn Pronk (Van Gogh Museum Amsterdam) announced the winner. The winning photo, as well as all 49 nominated photos, can be seen at the open air photo exposition in Nuenen, which is held from 16 September until 8 October in het centre of Nuenen and is freely accessible. ‘The quality of the entries was very high’ according to Pieter Snoeijen, Chairman of Rotary Club Nuenen. The photo competition was organised by Rotary Club Nuenen, in order to bring the paintings of Vincent van Gogh to the attention of a wide public in a contemporary way. “If Van Gogh lived in the present time and used a camera instead of a painting brush; what would he capture?”. This question as well as Vincents statement “If you truly love nature, you will find beauty in everything!” were the inspiratation of the photo competition. Over 600 entries were submitted from photographers from over 75 countries!